Last year I got rid of the toys for the benefit of my children. I call it toy minimalism, and let me tell you, my kids have gained so much in the process. I know this because I spend time loitering around the train table at Barnes & Noble. While my kids play I squeeze myself into one of the child-sized green Adirondack chairs (the ones that barely fit my post-baby-hips) and zone out with my coffee. I watch and listen. If you have been to Barnes & Noble in recent years, you know it’s as much of a toy store as it is a bookstore (with toys strategically placed outside of the children’s book area). As I am indulging in my coffee, I see kids of all shapes and sizes come and go. One thing holds constant. I repeatedly hear the same request. What can I buy today? It seems like a harmless request. After all, what’s one more toy? I am outing myself here, but I said I “loiter” due to the fact that I never buy anything at Barnes & Noble–other than the coffee and a few books. This is because last year I got rid of most of the toys. I got rid of the toys because they overwhelmed me. I got rid of the toys because because I feared a future of Legos jammed into my feet. I feared myself turning into that Mom who screams at her kids everyday to clean up their toys. I feared that I was going to have kids begging to buy every toy in sight when they went to Barnes & Noble. 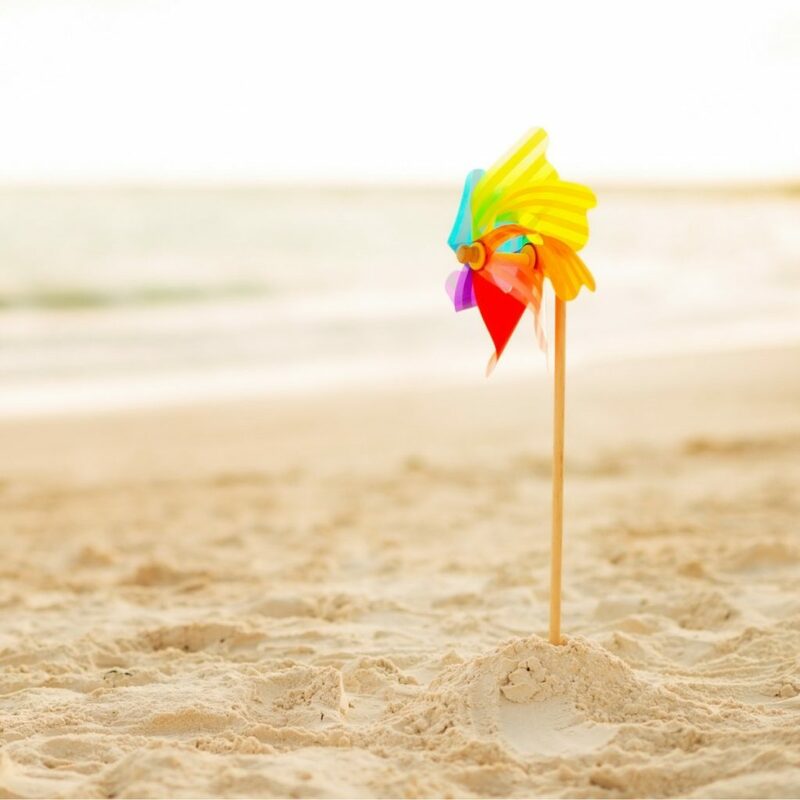 But most of all, I got rid of the toys because I knew how much my children would gain in the process–I wasn’t the least bit concerned they would be “missing out ” without heaps of toys. Because I know that children learn through play. If children learn through play, then play is the work of childhood. 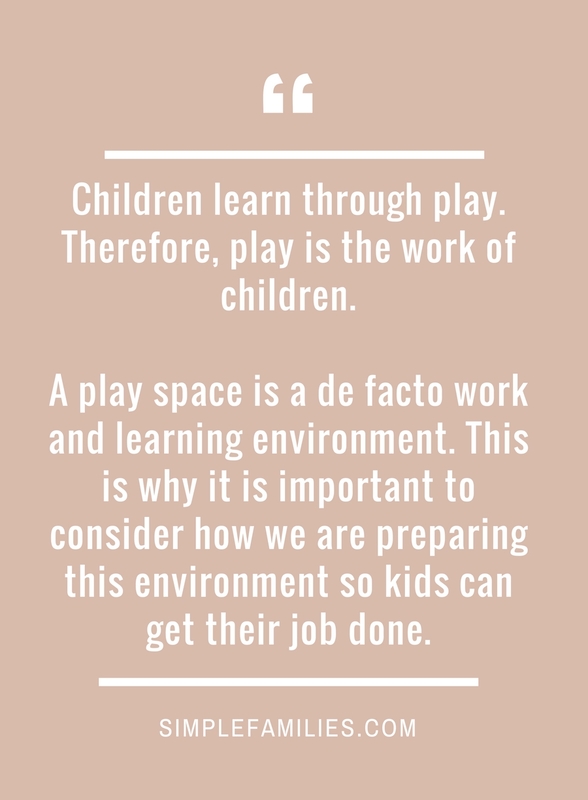 This means that their play space is a de facto work and learning environment. As the Boss Lady it’s important that I give my kids the best environment to get their job done–toy minimalism has done just that. We started using toy minimalism in our house and have never looked back. My children have gained these six things by slimming down on the toys. Want a list of 25 simple toys that are worth keeping? There was once a little boy who had a complete array of superhero attire. Batman, Superman, Spiderman and Ironman. Lucky dude, right? Then there was another little boy who had a bed sheet. He tied it around his neck and pretended to be all of the aforementioned characters. When he was done, he turned it into a blanket fort and then a curtain for his puppet show. Having fewer toys is directly correlated with more creativity and innovation. These are traits we all want to foster in our children. Do you think humans have evolved to share? No. Do you think that cavemen and cavewomen were sharing. Heck no. Sharing is a social behavior that has developed as a means to keep the peace. It does not come naturally; therefore, it must be practiced. When you live with fewer toys children are forced to develop boundaries and limits that exercise this important social skill more frequently. When kids have fewer toys they play more independently. When you have fewer toys that are carefully selected, children can easily find the ones they need. This means they can get the toys out on their own and put them away. There’s no more “I’m bored” or “what is there to play”. The options are out and available which sets the stage for kids to dive in, engage in play, and think outside the box with new ways to use the toys they have. Clutter creates stress. If I can’t manage to keep the toys cleaned up and organized, how in the world can I expect small children to achieve the same task? This means “go clean up your toys” is a request that many parents toss around lightly–but in most homes, this is no easy feat. Because where the heck does all this stuff go? There is something calm and reassuring about everything having it’s place . When I buy a sweater, I give it a lot of thought. How much use is it going to get? How long will it fit? Is it good quality? In the world of online shopping, you can buy anything with the click of a button; therefore, I want my children to start asking themselves these questions. Toys should not be impulse purchases. Toys should be items that are highly valued and have an important place in the home and in the lives of your children. When I am lingering at the train table now, I can see all of these values developing in my children. Fewer toys will lead to less nagging, more sharing, independent play, creativity, along with setting the foundation for becoming conscious consumers. If this sounds like a recipe for a happier Mama–you’re right. It is. As parents, our personal happiness influences our children and the overall wellness of our family. It starts with us. So about those toyboxes…what’s hiding down in there anyways? By slimming down on the number of toys in your house, you will be helping your children to grow and develop life long skills. Who can pass up on that? Are you ready to start buying toys more intentionally? Get the list of the 25 Best Simple Toys. You will also stay connected to the blog through email updates. Success! Now check your email to get your list.